The Late Great Planet Tiamat - Was the Third Rock from the Sun Once the Fifth Rock from the Sun? According to the harmonic rule known as Bode’s Law, a planet should exist between Mars and Jupiter - some 260 million miles from the Sun. Beginning in 1801, tiny rock and metallic objects were discovered to be orbiting the Sun at about this distance. Since then, several hundred thousand large asteroids have been catalogued, and it is estimated that there are more than a million 1 km asteroids. 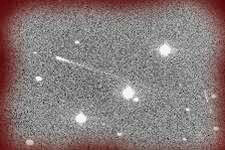 Stretched out at a distance of 205 to 300 million miles from the Sun, this band is known as the Asteroid Belt. The asteroids range in size from Ceres, which has a diameter of about 1000 km, down to the size of pebbles. If the estimated total mass of all the asteroids was gathered into a single object, the object would total about 1,500 kilometers (932 miles) across - less than half the diameter of the Earth’s moon. 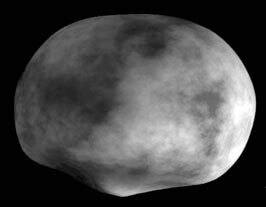 Astronomer H. Olbers discovered the second asteroid, Pallas, in 1802, and the fourth asteroid, Vesta, in 1807. In his time, Olbers thought these bodies were fragments of a planet that had exploded. Another generally accepted theory suggests the asteroids are the remains of a planet that was destroyed in a massive collision. Nonetheless, it had earlier become evident that much of the material of this ’missing planet’ had been pulled into the orbits of Earth, Mars and Jupiter as either meteors or orbiting satellites. Among catastrophists there is substantial disagreement on the matter of the "missing" fifth Planet from the Sun, in the place of which lies the Great Band, the debris of an enormous planet which the Sumerians knew as Tiamat. There are various opinions on what caused the Asteroid Belt; for instance, Tom van Flandern’s Exploding Planet Hypothesis in Dark Matter, Missing Planets and New Comets, asserts that a former major planet between Mars and Jupiter exploded about 65 million years ago. Van Flandern believes this event is the origin of the great bombardment of comets and asteroids which ended the reign of the dinosaurs on Earth. However, according to Zecharia Sitchin in The Twelfth Planet, written accounts left by the lost Sumerian civilization state that Tiamat isn’t missing, it just moved shop. Tiamat is the planet on which we are standing right now. This article will discuss two anomalies that suggest the Earth was once further away from the Sun, suggesting that prior to a grand cataclysm described in the Babylonian Enuma Elish, the Earth was the planet which the Sumerians called Tiamat. According to Sumerian/Babylonian cosmogony (cosmic genesis), the fifth Planet from the Sun, Tiamat, was shunted to third position by a calamitous event, one now well known by followers of Planet X Theory. First, a quick overview of the Sumerian/Babylonian story of Tiamat is in order. Ancient Sumerian texts indicate that Tiamat was struck by a large planet, which moved it into its present orbit, and also created the Earth’s moon and the Asteroid Belt. In his books, The Twelfth Planet and The Cosmic Code, Zecharia Sitchin outlines this "celestial battle" as described in the Babylonian text Enuma elish. The planet "Marduk" (the Sumerian "Nibiru"), as it came into the solar system on its 3,600-year clockwise (retrograde) elliptical course, struck Tiamat, which was moving in its ordained counterclockwise orbit. According to Sitchin’s well-known translations, one of Marduk’s satellites struck Tiamat first, followed by two more of Marduk’s moons. Then Marduk itself, an enormous cosmic entity, struck Tiamat, smashing one half of the planet into pieces, which became what the Sumerians called the Great Band. The remaining half of the planet, which was struck by a smaller moon of Marduk, was catapulted into a new orbit, along with a chunk of material which became its moon. According to the Enuma elish, Tiamat’s original moons were dispersed, many changing the direction of their orbits and rotations. Tom van Flandern, a specialist in Celestial Mechanics at the US Naval Observatory, has suggested that the great rift on Mars may be the impact site of a former moon, the moons of Neptune show evidence of violent disruption, Mercury was originally a moon of Venus, Mars once had many more moons, and Pluto and Charon are escaped moons of Neptune. Van Flandern finds the retrograde rotation of Venus peculiar, he believes that our moon originated from the Pacific Basin of the Earth, and he agrees that there is probably an undiscovered planet beyond Pluto which belongs to our solar system. In addition, Hubble recently investigated one of the largest asteroids, Vesta (image above), and found evidence of differentiated layers similar to the terrestrial planets, distinctive light and dark areas like the face of our moon, and a geology similar to the Earth, including evidence of ancient lava flows. Sitchin believes that the "impossible knowledge" of the Sumerians was imparted to them by "Anunnaki" space travelers in a series of texts forming the basis of ancient science and religion, and was translated into many languages, including Greek and biblical Hebrew. According to Sitchin, all ancient mythologies stem from this original knowledge imparted to earthlings by spacefaring ETI hailing from this wayward bowling ball, Nibiru. According to Sitchin, the Anunnaki called our planet ERIDU, meaning "Home away from Home." Sitchin also argues in The Cosmic Code that the Anunnaki used their detailed sky charts to group the stars into constellations, and then honored their leaders by naming the constellations after them. Thus, the Sumerian god EA, ("Whose Home is Water") was honored by the zodiacal signs of Aquarius and Pisces, and the "priests who oversaw his worship" were dressed as Fishmen. Enlil, the strong-headed one, was honored by the sign of Taurus. Ninmah was Virgo. The warrior Ninurta was Sagittarius. Over time, Sitchin explains, as second and third generation Anunnaki ’gods’ joined the scene on Earth, "all the twelve zodiacal constellations were assigned to Anunnaki counterparts." He argues, "not men, but the gods, devised the zodiac." The continent that the ancients called Pangea likely represents the prehistoric truth regarding the land formation on the Earth after it was involved in this collision. Over time, the continents then drifted to where they are now. As Sitchin points out, Earth’s largest landmasses are mostly on one side and the oceans take up the rest of the planet. Looking at the Earth’s globe from a distance, if you took the water away, what’s left is a "cleaved planet," which is the meaning of "KI" - the Sumerian word for the present embodiment of Earth. According to the Enuma Elish, the Earth came to rest as the third Rock from the Sun after this watery calamity. Here is where the Biblical genesis tale picks up the story, only telling it as a beginning, at the point where the waters of these two great bodies separated in the firmament, the waters belonging to two worlds going bump in the night. Current advances in astronomy have, in fact, corroborated certain aspects of this tale. Mathematical irregularities in the orbits of the outer planets, in particular, strange wobbles and gravitational anomalies noted in the orbits of Uranus, Neptune and Pluto, have prompted astronomers over the past hundred years to search for a large planetary body in the outer solar system. Many articles have been written about Planet X over the last twenty years. On June 17, 1982, a NASA press release from Ames Research Center officially recognized the possibility of "some kind of mystery object" beyond the outermost planets. Astronomy magazine published an article in December of 1981 entitled "Search for the Tenth Planet," and another article in October of 1982 entitled "Searching for a Tenth Planet." Newsweek covered the story of Planet X on June 28, 1982 in an article entitled "Does the Sun Have a Dark Companion?" "implied that the tenth planet was a twin sun, stating that such a "dark companion" could produce the unseen force that seems to tug at Uranus and Neptune, speeding them up at one point in their orbits and holding them back as they pass... the best bet is a dark star orbiting at least 50 billion miles beyond Pluto... It is most likely either a brown dwarf, or a neutron star." Andy Lloyd later went on to more than speculate that we live in a binary star system (www.darkstar1.co.uk). The Washington Post covered the story of Planet X on the front page on December 31, 1983 called "Mystery Heavenly Body Discovered." This story reported that the Infrared Astronomical Satellite (IRAS) detected heat from an object about fifty billion miles away. "an eccentric 10th planet may or may not be orbiting the Sun." The article stated that NASA research scientist John Anderson "has a hunch Planet X is out there, though nowhere near the other nine." The article concluded, "if he is right, two of the most intriguing puzzles of space science might be solved: what caused mysterious irregularities in the orbits of Uranus and Neptune during the 19th Century. And what killed off the dinosaurs 26 million (sic) [actually 65 million] years ago." This brings us quite neatly to the first anomaly which suggests the Earth was the late great Planet Tiamat. It is a curious fact that the antediluvian world somehow supported 350 pound flying creatures, while today’s gravity only permits flying creatures weighing at max about 30 pounds. Even at 25 pounds, the great hunting eagles bred by Central Asians had great difficulty getting off the ground. The flying Pteranodons (an ’antediluvian predator’ in a world where a worldwide flood ’never happened’) are now thought to have been carrion feeders, not fishers. How these "living gliders" could have taken flight after gorging themselves on rotting dinosaur flesh is a real brainteaser, according to Douglas Lawson of U. Cal. As Ted Holden explains in "Dinosaurs and the Gravity Problem" in The Anomalist, this flying reptile was fairly lightweight, about the size of a modern turkey, but with a wingspan of up to 50 feet. It has been proposed that certain flying vertebrates depended on air currents for liftoff. This theory would have them perpetually perched on the edge of a cliff waiting for a breeze. Others proposed that they took a running start and launched themselves into the air, but a general lack of musculature likely made these vertebrates unable to run that fast. "wings of such an extraordinary size could not have been flapped when the animal was grounded," Holden explains. 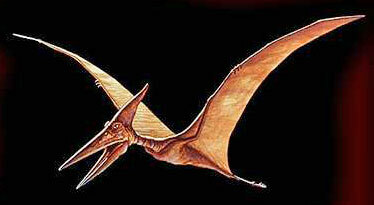 The Pteranodon would have needed tall stilt-like legs to allow its monstrous flapping wings to clear the ground. And this is certainly not the largest of the antediluvian flying predators. According to Robert T. Bakker in The Dinosaur Heresies, some pterosaurs had wingspans of 60 feet. "a creature that large would have broken its arm bones if it tried to fly." There are other factors which now limit the size of creatures on the Earth. Let’s consider elephants. As Holden explains, it is well known that elephant-sized animals cannot afford to fall down, and that even the slightest tumble can usually prove fatal, breaking bones and destroying tissue. Yet, the elephant doesn’t even live a predator lifestyle. Moreover, elephants are simply too heavy to run in our world. As is well known, they manage a kind of fast walk. They cannot jump, and anything resembling a gully stops them cold. Mammoths were as big and bigger than the largest elephants, however, and Pleistocene art clearly shows them galloping. Holden wonders if some aspect of the Earth’s environment might once have been vastly different. "There are categories of evidence, derived from a careful analysis of antediluvian predators, to show that gravitational conditions in the distant past were not the same as they are today." He concludes that the super animals of Earth’s past could not live in our present world. The laws of physics do not change, nor does the gravitational constant, as far as we know. But something was obviously massively different in the world in which these creatures existed, and that difference probably involved a change in perceived gravity. The basic requirement for an attenuated perception of gravity involves the Earth being in a very close orbit around a smaller and much cooler stellar body (or binary body) than our present Sun. One pole would always be pointed directly at this nearby small star or binary system. The intense gravitational attraction would pull the Earth into an egg shape rather than its present spherical shape, so that the planet’s center of gravity would be off center towards the small star. This would generate the torque necessary to counteract the natural gyroscopic force and keep the Earth’s pole pointed in the same direction as it revolved around the star. "The state of the present solar system indicates that this previous system was eventually captured by a larger star, our present Sun. But the pieces of this old system have not vanished. The influential small star or binary system of the past remains, though its reign of power has ended." "There is no reason why they would worship as gods two planets which most people cannot even find in the night sky, unless of course those bodies occupied a far more prominent place in the heavens than they do today." Indeed, if the Earth was once in fifth position, its closest neighbors would have been Jupiter and Saturn. One of the most fascinating discussions of these two spheres is contained in a 1954 book by Rodney Collin entitled The Theory of Celestial Influence. Jupiter has twelve known moons, four of which are visible by telescope. "The relation of Jupiter to the Sun appears to follow a definite and significant ratio. The system of Jupiter, in number of satellites, their size, distance, speeds of revolution and so on, seems to present to us an exact model of the Solar System." As Collin explains, "Jupiter, like the Sun, is a complete living entity or cosmos." Collin, who was a disciple of P.D. Ouspensky and G.I. Gurdjieff, asserts that the Jupiter system is highly developed and is almost a complete reflection in miniature of the Solar System. "the influence or radiation produced by such a system must be an extremely subtle one, incorporating a large number of different frequencies in harmonic relation." 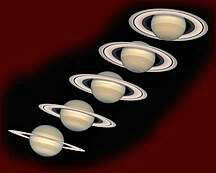 The system of Jupiter, Collin explains, includes 15 to 20 harmonic frequencies. Jupiter’s world must produce "an extraordinary wealth of overtones which would put it in the same relation to Venus as a cello to a penny whistle." "complete systems of satellites and may even be faintly self-luminous, though this luminosity is rendered unnoticeable by the infinitely greater brilliance of the Sun." Collin notes that Jupiter and Saturn "are evidently trying to become suns." "every 390 days, Jupiter and Saturn return to a mean relation with the Earth, and make equal angles with the Earth and Sun, and their influences become balanced." "the pieces of this old system have not vanished." Satan’s Fallen Angels - The Asteroids? According to Collin, it is interesting to speculate what kind of influence the motion of countless asteroids might produce on the magnetic field of the Earth. "throng of particles of varying sizes, pursuing at different speeds hundreds of separate and highly eccentric orbits." Collin points out the physical relationship between the asteroidal mass and individual planets. He wonders, might this relation represent the independence or insurrection of component units against the whole? "pathological conditions are caused by the independent action or inertia of separate organs or cells of the body; while rebellions and revolutions represent such a condition in the body politic." Collin also calls attention to the strange affinity between the asteroids and the idea of "corruption." He notes the connection between asteroids, as a throng of particles, and ancient "legends of crime" on an angelic or planetary level. The rebellion of Satan, the fall of Lucifer, are stories told in the context of the planetary demiurges, Mercury, Venus, Mars, Jupiter and Saturn. "How art thou fallen from Heaven, O Lucifer, star of the morning?" Might ancient legends be describing as fallen angels the falling debris of a great cataclysm as an insurrection in the solar system’s body politic? In the Book of Revelations, visions are assigned to each of seven planetary angels. "into the bottomless pit, from which arose clouds of smoke which darkened the sun." The angel of this bottomless pit was Apollyon, who was later to be called Satan. We must realize that the asteroids now fill the fifth place in the planetary sequence. The fifth planet is "missing." "a woman clothed with the sun and the moon under her feet, and upon her head a crown of twelve stars." "a personification of the descending scale of worlds from the twelve zodiacal signs of the Milky Way through the Sun down to the moon." The woman, he explains, is about to give birth "to a new satellite." "Satan waits to devour the infant and there is a war in heaven between Satan and his demons and Michael and his angels (Sun and major planets). The great Dragon is cast out (of the world) and cast into the Earth with his angels. Lucifer is the spirit of multiplicity, chaos and disorder among a mass of disorganized individuals." Planet X Theory is beginning to fill in the details of this ancient myth of a War in the Universe. The great Dragon could be Nibiru (Sol B), the Sun’s dark twin, which was cast into (collided with) the Earth, and which indeed "devoured the infant" (taking a big bite out of its side) and was cast out of the world for the time being. "at a remote time period in the history of the solar system, some tremendous cosmic tension may have been set up which represented ’night’ for the Earth, producing the cataclysm which engulfed Atlantis and made an almost complete break in human history... The legend of the Fall of Lucifer and the war of the other planets against him... finds itself transcribed into astronomical language." "something was obviously massively different in the world in which these creatures existed." Could it have been a different world entirely, one situated as the fifth rock from Sol A, and in close orbit around a smaller, cooler binary body, Jupiter or Saturn? As Holden points out, one pole of the Earth would be pointed in the same direction as it revolved around the small star. The intense gravitational attraction would pull the Earth into an egg shape, so that the planet’s center of gravity would be off center towards the small star. Might the consequences of such an intense gravitational pull allow for enormous flying creatures? Within this context, we must also consider van Flandern’s thoughts on the matter: the peculiar retrograde rotation of Venus (was it once Tiamat’s moon? ), that Mercury was originally a moon of Venus, that Mars once had more moons, and Pluto and Charon are escaped moons of Neptune. With Tiamat as a giant 8-ball, it would appear that a cosmic game of pool has been played out. There is much to consider now that catastrophists are finally having their day in court. Ask questions, even if they sound absurd, for in this context we know nothing! In essence, the Dark Star Theory asserts that we are living in a binary star system. We have truly been thrown a curve ball. The Sun’s dark twin also provides an explanation for the ever-present Christ/Satan dualism in our religious systems, an enigma discussed in detail by Andy Lloyd on his Dark Star section. This brings us quite neatly to the second anomaly which suggests the Earth was the late great Planet Tiamat. Anomaly Two - Water, Water, Everywhere! The second argument for the Earth being the Sumerian planet Tiamat was recently suggested by Andy Lloyd, and has to do the overabundance of water on Earth. As the Sumerians claimed, Tiamat was struck by a moon of Nibiru and was cleaved almost in half, taking on the water of this watery world. As Sitchin points out, all the water on the present Earth is mostly on one side. If you took the water away, the Earth looks torn in half. As Andy Lloyd explains in his essay "The Great Water Conundrum," the source of the Earth’s oceanic water is indeed curious. Where did it all come from? A 3/23/02 article in Science News written by Ben Harder explains the problem. As Harder explains, the Earth is too close to the Sun to contain the amount of water it contains. The water, so crucial to its biosphere, should have been expelled from the early inner solar system before the Earth formed. Being as close as it is to the Sun, the Earth should be a much drier planet. Early theories proposed that the Earth’s water originated from comets impacting the Earth very early in its geohistory. But recent data suggests that the isotopic ratios of terrestrial water and cometary ice are quite different. Comets contain large quantities of deuterium, an isotopic form of water that is rare on Earth. If this is representative of solar system comets in general, then we can attribute very little of the Earth’s water to cometary impact. Lloyd suggests perhaps only half of the Earth’s oceans could have been deposited by comets. Yet, we shouldn’t be surprised that planetary scientists are intent on working within the currently accepted paradigm, which is largely controlled by Darwinian gradualism and is vehemently opposed to catastrophism. "The solution is staring all of these planetary scientists in the face." "The Earth has a rich mixture of volatiles, including water, because our planet originally formed much further away from the Sun." "the coalescence of moon-sized embryos derived from various chaotic orbits in the primordial solar system." These "volatile carriers," Morbidello explains, would have formed at about 4 Astronomical Units, which is about four times further away from the Sun than the Earth. This would put the early formation of the Earth somewhere within the orbit of Jupiter. "If the Earth was once four times further away from the Sun than it is now, then we must explain how it managed to find itself in its current close proximity to the Sun. Somehow, it was shunted into the inner solar system from an orbit originally much closer to that of Jupiter." "There it encountered a watery world at about 4 Astronomical Units, and a great ’celestial battle’ took place between these planetary ’gods’. The result was the shunting of this Water World, ’Tiamat’, into the inner solar system, where it became the Earth. The intruder, ’Nibiru’, spun off into an eccentric orbit beyond the known planets, where it remains to be re-discovered to this day." Lloyd takes note of Earth’s "special character." would the current biodiversity on this planet have arisen if Earth was still at 4 AU? "since life relies upon liquid water... one suspects not." The paradoxical situation we currently find on Earth is solved either by considering the possibility that the Earth has moved significantly closer to the Sun since its formation, or by rethinking how planets form. Whatever caused our world to have so much water so close to the Sun, it may be unusual, possibly even unique. The Earth’s abundance of liquid water may be very rare if the action of an intruder planet is required to explain its shunting into a closer inner orbit. According to Andy Lloyd physicist Jack Hills has calculated the effect of passing stars and black or brown dwarfs traveling near or through the planetary zone. Hills has noted that, given their size and momentum, stars would likely continue on their path past the solar system, but a black or brown dwarf would more likely become captured by the Sun. Once captured, the orbit of the captured dwarf could be highly eccentric, possibly degrading over time. Hills’ work indicates that if the brown dwarf had less than 20 Jupiter masses, its temporary infringement into the planetary zone would not necessarily cause chaos among the other planets; but there would be an effect on the energy relationships between the planets. These ’planetary binding energies’ are not fixed. When a "maverick element" of considerable mass is introduced into the solar system, the binding energies of the planets are subject to change. Hills’ research suggests that the interloper’s orbit would change the overall energy of the orbits of the other planets. His calculations suggest that the solar system would be subject to either contraction or expansion. As Lloyd notes, "the very distances of the planets from the Sun would be subject to change." "the dwarf would not need to directly interact with the planets; simply the changing relationship with the Sun would be enough to affect other bodies in the solar system." Jack Hills described these effects in a theoretical way. His interest was in studying whether a body the size of Nemesis, a proposed black dwarf, could have become captured by the Sun. He concluded that it would have caused too much chaos in the solar system. But below 20 Jupiter masses, an interloper would not create the same devastation. In other words, a small brown dwarf might just have been captured by the Sun in the remote past, and the solar system would still appear as stable as it is thought to be today. So, if Planet X is a small brown dwarf, then physical mechanisms have been studied scientifically that do actually allow for its existence. Furthermore, those calculations show that the interaction between this dwarf and the rest of the solar system might have fundamental physical ramifications. The distance between the Earth and the Sun might have been altered. Not just once; but every time the temporary orbit of the loosely bound cometary dwarf changes. "Has the Earth’s distance from the Sun altered? Was the distance between the Earth and the Sun a variable that changed with respect to the incursion, and subsequent capture by the Sun, of a brown dwarf? Would not the actual physical displacement of our planet have rendered sudden, catastrophic Earth-changes environmentally? What would happen to the oceans, for instance, when the Earth suddenly falls away from or towards the Sun? Would they not be swept over the land, accompanied by titanic volcanic and seismic activity?" Lloyd has argued that the shunting of the Earth from the position of fifth from the Sun to third had to have occurred some 3.9 billion years ago and not 65 million years ago during the reign of the dinosaurs. Thus, according to his argument, the two anomalies suggested here are incompatible with each other, since according to the "geological column" the two events occurred at time periods very distant. Sitchin claims the Tiamat/Earth displacement (which Lloyd equates with the "late, great bombardment") occurred 3.9 billion years ago. The Tiamat/Earth displacement has to have occurred during the early formation of the Earth, long before mammals arrived on the scene (or even vertebrates for that matter). On the other hand, Tom van Flandern states the asteroidal bombardment that ended the reign of the dinosaurs happened 65 million years ago. These two dates are incompatible. Yet, van Flandern sees it strictly as an asteroid bombardment, not a planetary displacement. In other words, he sees the fifth planet as "missing," rather than "moved shop." The Earth was always where it is. "A great extinction event occurred around the Permian-Triassic boundary some 245 million years ago. The scale of the destruction of life on Earth was an order of magnitude greater than the wiping out of the dinosaurs 65 million years ago. The destruction of the dinosaurs at the end of the Cretaceous is now thought to have been caused by a single impact event off the coast of Yucatan, Mexico. This asteroid or comet impact led to the deposition of extra-terrestrial iridium, forming the famous K/T boundary in the rock strata of that period. Can we look to a similar cause for the more catastrophic P-Tr boundary mass extinction?" Throwing all caution to the wind, there are a few solutions that can be suggested. Solution 1: The dinosaurs never were alive 65 million years ago, they were just bones at that time too. In Catastrophism you don’t have any solid dates to hang your hat on. All the dates we have are a mess. Solution 2 (admittedly way out there): The prior fifth planet, known as Tiamat to the Sumerians, is indeed gone. The present earth on which we are standing was once a moon of Nibiru, which fell from the influence of its own Dark Sun. 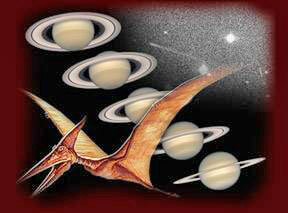 The dinosaurs were once extant (alive) on this moon of Nibiru. In this scenario, the dinosaurs are creatures of another world. Solution 3 (also way out there): The dinosaurs were alive on a moon of Nibiru, which exchanged material with the Earth/Tiamat. Earth took on the bones of these creatures which were never extant on the Earth but were creatures of another world. The dinosaur gravity problem is a great piece of evidence for something; but what is it evidence for? Perhaps other catastrophists out there can help me put the pieces of this puzzle together. Collin, Rodney The Theory of Celestial Influence, Arkana Penguin Books, 1954.
d’Arc, Joan, "Planet X: Is a Runaway Wrecking Ball Part of Our Solar System?" David, L. "Long-Destroyed Fifth Planet May Have Caused Lunar Cataclysm, Researchers Say", 18 March 2002. Delsemme, A. "An Argument for the cometary origin of the biosphere" American Scientist 89 (Sept-Oct) 2001; pp432-442. Drake, M. & K. Righter "Determining the composition of the Earth" Nature 416 (7th March) 2002; pp39-44. Harder, B. "Water for the Rock: Did Earth’s Oceans come from the Heavens?" Science News 23 March 2002 (Vol. 161, no 12). Lloyd, Andy, "Winged Disc: The Dark Star Theory" 2001, see also "The Great Water Conundrum"
Morbidelli, A. et al "Source regions and timescales for the delivery of water to the Earth" Meteoritics and Planetary Science 35 2000; pp1309-1320. Sitchin, Zecharia The Twelfth Planet and The Cosmic Code, Avon. Van Flandern, Tom, Dark Matter, Missing Planets and New Comets: Paradoxes Resolved, Origins Illuminated, North Atlantic Books, 1999.